Rain-sensing windshield wiping systems are standard issue on many new car models. They automatically turn your wipers on and off when it starts to rain. They self-adjust depending on how hard the rain is falling. If you need to have your windshield replaced, be sure to tell the Houston auto glass technician that your vehicle is equipped with rain-sensing wipers. Modern rain-sensing wiper systems have small devices behind the rear-view mirror attached to the windshield. These units have light-emitting diodes (LEDs) that flash infrared beams onto the windshield. Collectors on the device gather the lights’ reflections from the dry windshield. Water or snow on the windshield restricts the rate of reflection. The voltage passing through this control varies with the amount of light that is reflected, so if the reflection is not as robust as usual, the wipers are activated. When the reflections return to their normal frequency, the wipers are de-activated. Drivers can leave their vehicle wiper settings in the automatic mode for most brands. A version of the automatic wiper system was around as early as the 1970s. The Citroën SM had a much less sophisticated method of sensing rain. The speed of the intermittent wipers on that rare model was regulated by sensors that gauged the amount of electrical current draw from the wiper motor. Less draw meant the wipers were easily gliding across the windshield and that it was raining harder. More draw was needed to move the wipers over drier windshields. General Motors proudly installed Rainsense, its rain-sensing system, on their 1996 Cadillac STS, Eldorado and DeVille models. It functioned the same way that modern systems do, but it had problems at first. It could not recognize fine mist or road spray. Going through a car wash could have expensive consequences. Plus, the wipers had to be put in the automatic mode every time the car was started so that they could move away from their parked position. GM still uses the Rainsense name to this day although the technology has improved greatly. A Houston windshield replacement company needs to know that your vehicle has a rain-sensing system. Otherwise, the technicians might install the wrong type of windshield. They will also want to examine the controller to make sure it was not damaged when your windshield was broken. 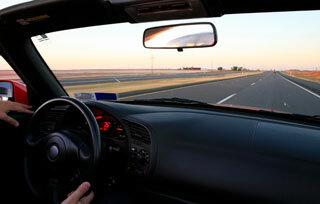 They can look up the specs on your vehicle easily so that they select the proper windshield. If they install the wrong type of glass, the automatic wipers may malfunction or not work at all. That would require another Houston windshield repair to replace the incorrect windshield. 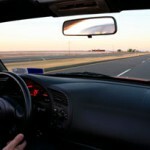 It is far better to make sure the correct windshield is installed the first time and that it is installed properly. A fast check can get you back on the road more quickly. Rain-sensing technology permits the driver to pay attention to their driving and not the wipers during a storm. Automatic wipers remove one more distraction, which makes you and other drivers safer. Faster on-board computers react more quickly so that your wipers perform perfectly no matter how hard it is raining. The main benefit is convenience. Automatic wipers may seem to be overkill, but automatic locking, gear shifting and headlights were once considered a luxury, too. Now, those features are very common. If you need to have your windshield replaced, give Apple Glass a call. In Houston, we can be reached at 713-680-1400. In The Woodlands, contact us at 281-296-0600. Let us know ahead of time if your vehicle has automatic windshield wipers so that we can be ready for you when you arrive.